Kate Nash is the next 'it' girl of BritPop. Her music is reminiscent of fellow Londoner Lily Allen even though Nash opts for a more distinguished rock sound. This coming week Nash will be performing sold-out shows in North America and she seems to have arrived both critically and commercially. But is it just her unique voice and execution that marks her as unique? In her case, it seems to be this rather special blend of easily recognizable BritPop traces, edgy uber-urban style, sensual voice, and 'good girl' persona. 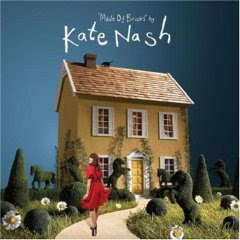 With 21st-century pop finesse, Ms. Nash managed to start a career by recording songs into her home computer and making some fortunate MySpace links. Less than two years after she quit a job as a fast-food waitress, she was atop the British pop charts. Her New York City show on Wednesday night at the Bowery Ballroom is sold out. 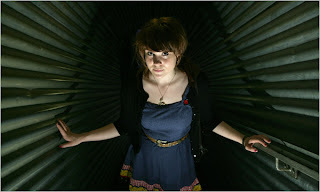 Ms. Nash is part of a steady stream of young English female songwriters who have lately become MySpace and YouTube darlings. Before Ms. Nash were Lily Allen (who endorsed her early) and Amy Winehouse; in her wake is the folky teenage songwriter Adele. All of them attended the BRIT School, the free performing arts school in London supported by the British Record Industry Trust. And her Cinderella-esque past seems to serve her present hype quite well indeed. However, Nash does live up to the hype. Songs like 'Pumpkin Soup' and 'We Get On' are both upbeat and contemplative. Nash is one of those performers who simply knows how to translate micro life tidbits into the macro canvas of human experiences. "I was walking along..." she sings in 'We Get On' and one feels as though one is walking the streets of London with her. She has this rather remarkable ability to translate the ubiquitous into sheer musical poetry. Her album, Made of Bricks, hits the stores January 8th. She has a good sound. The Times compared her to Regina Spekter. The lyrics are simple yet poetic. I like her too. I like her upbeat songs. They sound fresh and musically well-informed at the same time. NY Times says that she already has sold-out shows in the US. And her Myspace music page sports over 4 million visits already. And judging by the success pf such Myspace wonders as OneRepublic, if the people have spoken there is only one way to go but up. Also, I find it interesting that much of the London scene is so different from a North American context.... Do you think that London's urban reality is more conducive to certain 'scene' choices? Perhaps the fact that there is not as much urban space in one city, albeit a great one like London, as there is in N.A....?